WOW!!! Excellent. Literally flying off into the wild blue yonder!! Artist Reply: Thanks very much for the comments Sylvia...this has been pure enjoyment for me to paint! 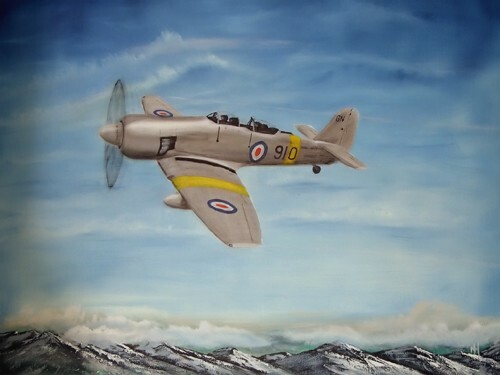 Artist Reply: Many thanks Arnel...it`s certainly one of my favourite aviation paintings, both to look at and to have done. Wonderful painting style. I feel a sense of adventure for the open skys.